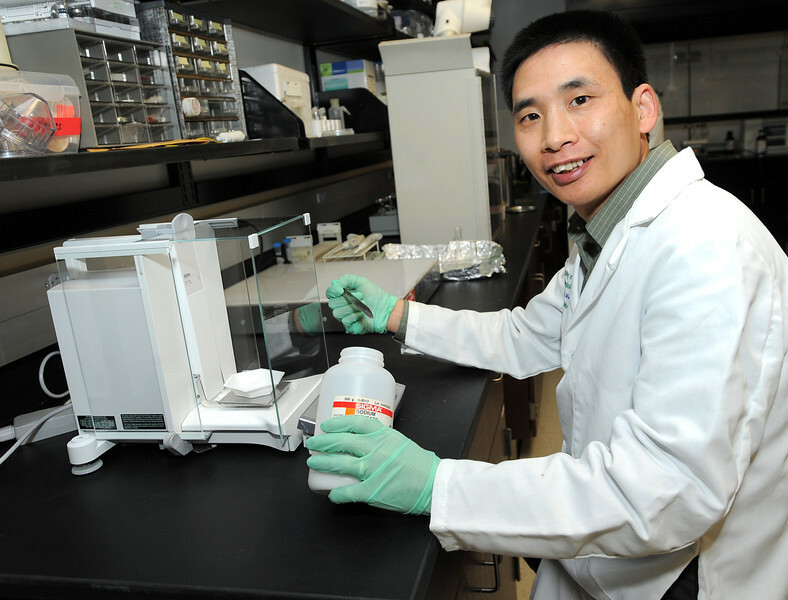 Dr. Miaozong Wu of the Marshall University School of Pharmacy received one of 14 grants recently awarded to the university’s faculty members and students for aerospace-related research and educational programs. Wu and his co-investigators Dr. Henry Driscoll and Dr. Eric Blough will use the $10,000 award from the NASA West Virginia Space Grant Consortium to explore how obesity and metabolic syndrome affect bone health. Photo by Rick Haye, Marshall University.